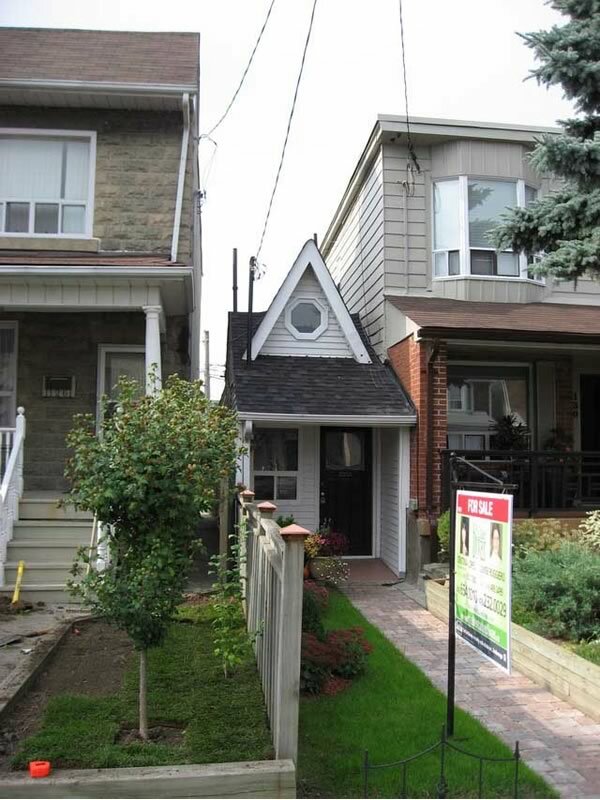 A client sent me information and photos of the smallest house in Toronto, Canada this week. She knew I have a thing for tiny houses, and she said this one should be right up my alley. The house, purchased for $139,000 last year (according to a report from Reuters), has recently been revamped and is now back on the market for $179,900. It boasts (or should I say “whispers”?) 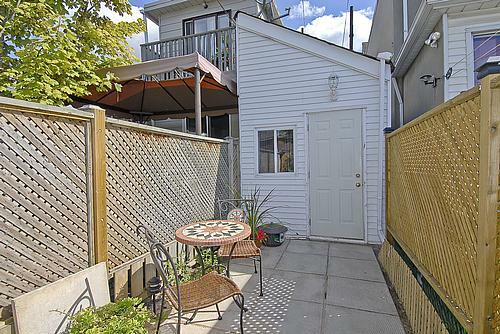 300 square feet of living space with a tiny back patio. 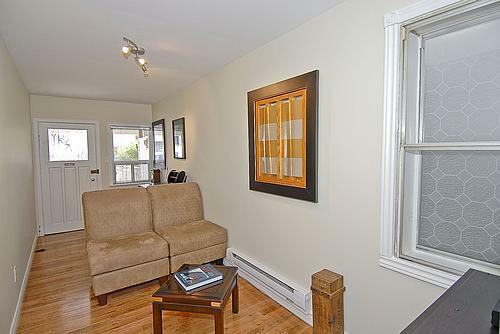 If small living is your thing, this might be your next house! * Completely re-done top-to-bottom, front-to-back! 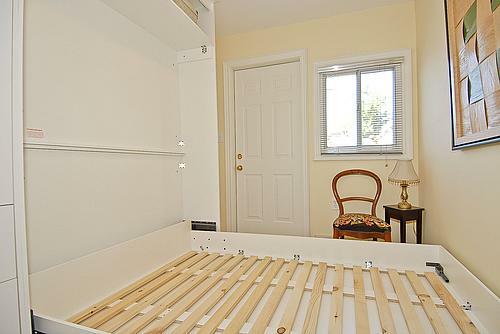 * Bedroom with Murphy Bed + ‘Built-Ins’ … (doubles as a den)! A view of the living room in the tiny house looking from the back of the home toward the front door. Living room viewed from the front door toward the kitchen. 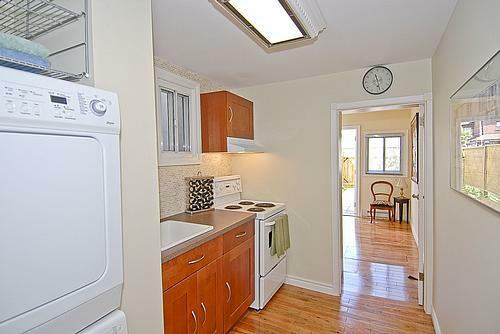 The minuscule kitchen manages to cover all the basics (although I’m still wondering where the refrigerator is stashed) work in a stacked washer/dryer unit! 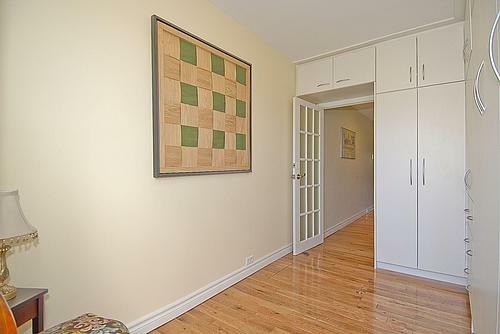 The bedroom includes a Murphy bed, which must be put away to walk to the back door. Here’s the bedroom, looking from the back door toward the kitchen, when the bed is put away. A view of the patio area from the back door. Looking at the back door of the house from the far side of the patio. Don’t you just love the sight of a beautifully polished tiny space? I know I do. Only one question remains… where’s the teeny little bathroom? 25 Responses to "Toronto’s Itty Bitty Tiny House with a Big Price"
Tumbleweed was the first company I found online with the prebuilts. I’ve been a fan ever since. Someday, once my larger tiny home is built, I may create my own teeny-tiny one just for fun! If you like tiny houses, how about this one in Wales? It is (allegedly) the smallest house in Britain. 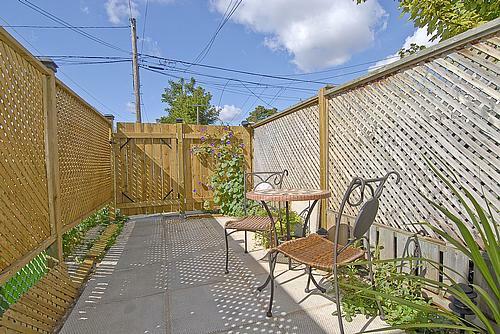 Some tiny homes in and around Toronto are just beautiful. I love the beaches area which is not only a great location but also it has many tiny homes that have gone through many renovations in the past few years. to her file. I wonder if the plans are available for a reasonable price. would love to look at your tiny house. how soon could one visit it online.we have space enough for a teeny-weeny beautiful house and would love to share notes . It’s going to be a little while before my own tiny house is complete (should be within a month or so) and I’m sure I’ll be sharing photos online once that’s done. Thanks so much for the request and I’d love to see links to your house in the meantime! Only problem with this and many other tiny houses are windows. There is very little natural light coming in it seems because only one or two tiny windows. more windows or bigger windows would give feeling of more space. Many designers do underestimate the importance of natural light. I think the reason is because wall space (due to a need for storage space) is at such a premium. In my own tiny house, I overcame much of that on the first floor by selecting a glass double door and adding a double window on the facing wall. Having a large expanse of glass works better, IMHO, than having multiple small windows. I also opted for at least one window in each room-no matter how small, and used a tall thin one in the bathroom to let in the most light in the least space. It’s all a matter of design and thought – before the building actually starts. 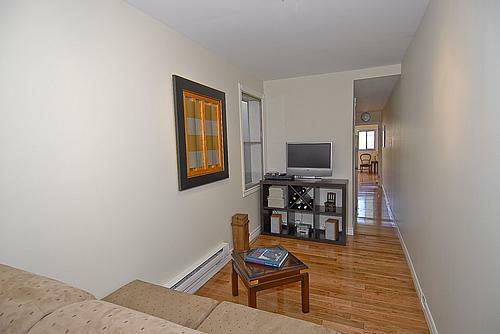 LOL..Just how the Gov wants you to live…In a a box..
Wow, $179,000 for 300 sq feet, it must be in an exceptional area. I’m in the midwest and recently bought a 700 sq ft fixer upper for 37k! Housing prices are a bit pricier there than they are here too. But, it’s still a cool concept house, don’t you think? Great little cute house. Would be interesting to live there.